Dr. Cordovez is a native of Panama. She attended Vanderbilt University and the University of Panama Medical School. 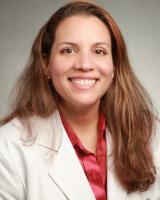 Dr. Cordovez completed her residency at St Thomas Hospital through the University of Tennessee, serving as Chief Resident of Internal Medicine. She has also completed a Fellowship in Integrative Medicine under the direction of Dr. Andrew Weil through the University of Arizona. Dr. Cordovez is an affiliated associate professor of medicine with University of Tennessee. She has two phenomenal daughters with whom she enjoys spending her time away from the office. She enjoys reading, golf and as part of her passion for lifelong life learning, she is pursuing a Masters in Healthcare Management at Vanderbilt’s Owen School of Business. University of Arizona Integrative Medicine Fellowship under the direction of Dr. Andrew Weil. 2 year intensive program.